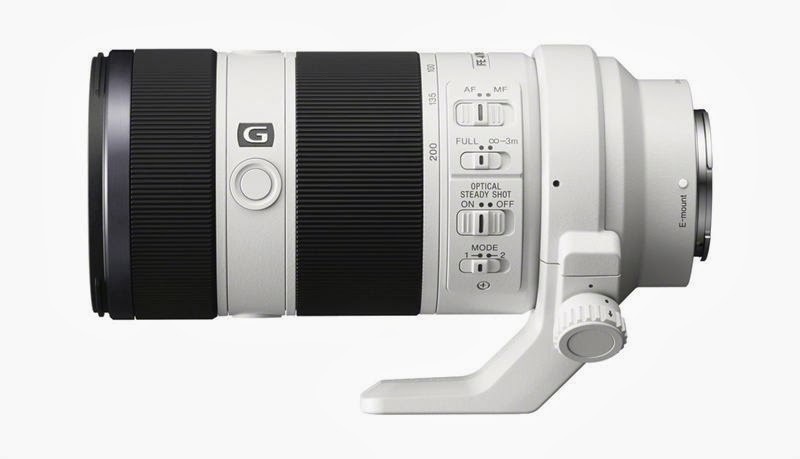 Last year, Sony announced its 70-200mm f/4 for the full-frame, E Mount. It should be available soon. As a native E-Mount lens it will work for the APS-C "NEX" cameras as well, albeit as a 105-300mm, but probably with less chromatic aberration, vignetting and distortion. I'm not a "long shooter," and I prefer primes. So why am I talking about the upcoming 70-200mm zoom? I think primes are more robust, more compact, lighter, usually sharper, and brighter, and often less expensive—and you can usually "zoom" with your feet. So, for me, most of the heavy lifting is accomplished with the three usual suspects: A moderate-wide 24mm (36mm equivalent), a standard 32mm (48mm equivalent), and a moderate-telephoto 55mm (82mm equivalent). The professional, 70-200mm workhorses (still Canon, Nikon, Sigma and Tamron) are usually f/2.8s. Nevertheless, when you're looking to save a little space and weight, going with a f/4 makes some sense. But at f/4, the Sony will have to be pretty good wide open. No one wants to stop down from there to find the sweet spot. It's great to see a zoom that's strong across its range. But, alas, that's often not the case. If the new Sony favours one end, I'd rather it be on the short end; to be the the most useful extension from the territory of the primes. It's a Sony "G," so they want us to know that they're taking it seriously. Sony really needs this lens to be a strong competitor. But we'll just have to wait and see; and, perhaps, start saving. 19 June update: The DXOMark review has been in for a little while. I won't steal their thunder, except to say they call it a "Classy Contender." And, yes, I bought one.